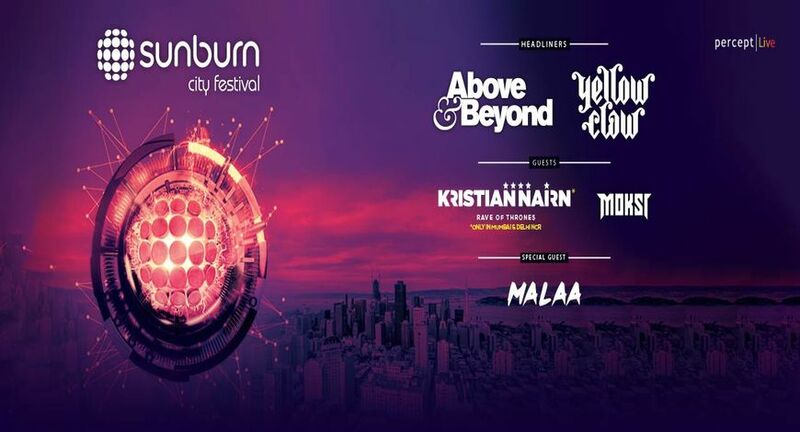 Sunburn, the Asia's biggest electronic dance music festival,kick-started its 12th Season with the announcement of Sunburn City Festivals which makes its comeback after two years. The mega multi-city festivals will be held on 5th October 2018 in Bengaluru, followed by a two-day festival from 6th to 7th October 2018 in Mumbai and Delhi NCR simultaneously. These City Festivals will give the fans a taste of the Sunburn Festival with larger than life experiences and a stellar artist line-up along with an array of activities and a curated F&B offering. The line-up includes Above & Beyond who return to Sunburn after 7 years, Yellow Claw who return to India after 2 years, the elusive trap DJ Malaa, with Moksi, and a very special guest - Kristian Nairn, who is famed his character "Hodor" in the series Games of Thrones among a host of other home grown artists. Commenting on the commencement of Sunburn City Festival 2018, Karan Singh, CEO, Sunburn Global said, “Given the immense popularity of Sunburn and the ever growing demand for more Sunburn events across the country, we're glad to bring the City Festivals to Bengaluru, Mumbai and Delhi NCR. These festivals are also an attempt to give fans a taste of the true Sunburn Festival vibe and haven't experienced previous Sunburn Festival editions or find it difficult to travel outside their city to attend our events. We feel the mix of artists is one that fans have being wanting to watch perform live and represent multiple genres of dance music. It's a great way to start our 12th season we hope fans come in numbers to experience this memorable event."